“Always read something that will make you look good if you die in the middle of it.! (P.J. O’Rourke) This course is for students who love reading in a range of literary texts from Shakespeare to Shelley to Steinbeck. Students will have the opportunity to read widely and independently both set texts and others they have selected for themselves. They will build upon skills acquired at GCSE, engaging critically and creatively with a substantial body of texts, developing analytical and evaluative skills. The social, historical and cultural context of texts, as well as others’ interpretations of them, will also be explored. In the first year, students will study a minimum of four texts. These will include examples of each of the genres of poetry, prose and drama. One of the texts will be a Shakespeare play. The core content includes the study of Literary Genres. Options include Aspects of Tragedy and Aspects of Comedy. In the second year, students will study a minimum of eight texts. These will include examples of each of the genres of poetry, prose and drama. 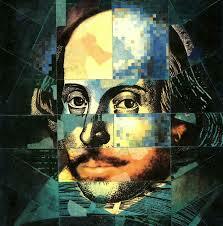 Students will study at least three texts published before 1900, including one or more plays by Shakespeare. Students will also look at works first published or performed after 2000. The core content includes the study of Literary Genres, Texts and Genres and Theory and Independence. Options include Aspects of Tragedy, Aspects of Comedy, Elements of Crime and Elements of Political and Social Protest Writing. Students with a qualification in this subject will have a wide range of careers and higher education opportunities open to them. English Literature can be studied as a single degree or it can be combined with other subjects such as History, Philosophy, Law, Politics or Languages. For those students who go straight into employment, English Literature will open the door to a wide range of opportunities in areas such as journalism, the media, law or management-based subjects. For full course details please click here. 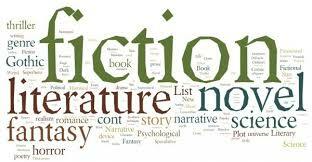 Click on the icon below to read more about literary genres.